In my form I have this DataGridView (grid1), filled from a sqllite database. 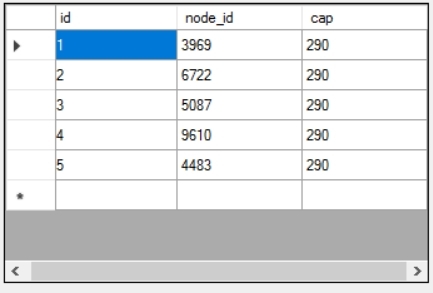 I want select the column with the name "cap" and insert the column's values into an array. I don't find a way to select the column cap by name, so I decided to indicate it with the index, but I don't like this way.. I don't know ho to insert these values into an array. there are a lot of columns/cell method but I don't figured out which one can help me! I tryed to do this way (from an old answer here in the site) but it gives me error of "out of bounded matrix"
Alternatively, you could use LINQ. The above solution might crash if the DataGridView's AllowUserToAddRows property is set to true. Because in that case your last row is the row for entering a new record, the Value is null, so invoking the ToString method on it causes a NullReferenceException.